BOSS is excited to introduce a new line of premium music accessories available through authorized dealers. More than 60 different BOSS-branded products are now available, with many others yet to come. Focused primarily on the needs of guitarists and bassists, the accessories include instrument and speaker cables, picks, straps, instrument care products, lifestyle gear, and more. The BOSS accessories line is our first expanded venture into the world of music accessories. Long requested by loyal BOSS users around the world, these top-quality accessories are the perfect complements to the BOSS gear they use to make music every day. BOSS cables deliver high-end performance for guitar, bass, and other musical applications on stage and in the studio. Engineered to preserve tone, they accurately transmit the purest signal without contamination or interference. Oxygen-free copper core wire translates every nuance, while specially designed connectors with 24K gold-plated contacts ensure the most precise sound reproduction available. Rugged and durable, BOSS cables are backed with a lifetime guarantee. BOSS instrument cables are available in variety of lengths, including short lengths for connecting pedals. BOSS speaker cables come in 3-, 5-, and 15-foot lengths, and feature heavy-gauge 14 AWG wire for superior performance. BOSS premium guitar picks are made in the USA and manufactured with the highest quality materials for great feel and playability. Ideal for all styles of music, the picks feature clean, polished edges that provide easy control and consistent tone. The picks come in bags of 12 or 72, and are offered in American celluloid and Delrin materials. Available in many different colors, including Shell, Dark Abalone, Jungle Camo, and more. BOSS instrument straps support guitars, basses, and other instruments with comfort and style. Top-quality leather, nylon, and cotton materials provide both great looks and lasting durability. The straps are available in a number of different designs and widths to suit the needs of all types of players. 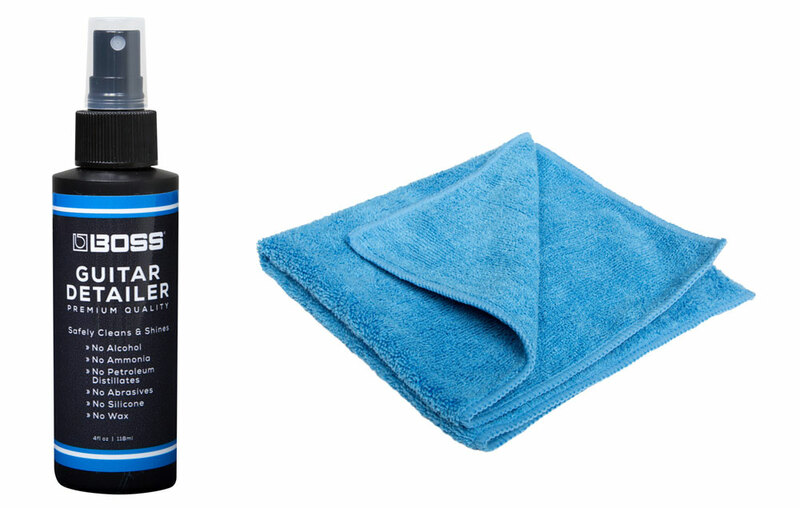 The BOSS Guitar Detailer keeps your instrument’s finish looking great. The special formulation is safe for all finishes and perfect for daily use, quickly removing dirt, sweat, and oils that build up as you play. A companion detailing cloth features a top-quality microfiber weave with high absorbency to eliminate smearing and streaks. 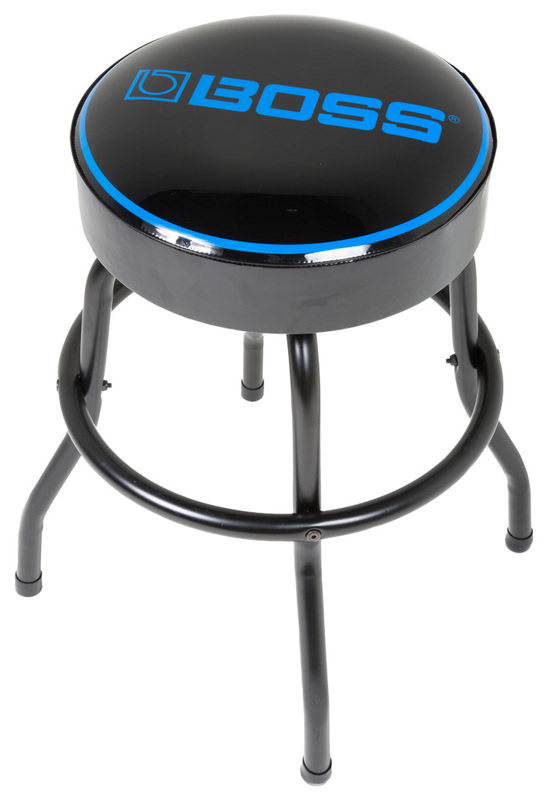 Comfortable and durable, a BOSS premium barstool is the perfect lifestyle accessory for every serious guitar fan. Available in 30-inch and 24-inch heights, they’re ideal for playing guitar in your studio or music room, and are a great fit for living spaces, rec rooms, and workshops. Learn more about the new BOSS accessories lineup at the BOSS website.